Coffee culture is one of the four criteria that define the exceptional universal value of the Coffee Cultural Landscape of Colombia (PCC). Art: coffee has inspired novelists, songwriters, poets, storytellers, painters and photographers. Myths and legends: myths and legends including the “Madremonte”, the “Patasola”, the “Hojarasquín from the Woods”, and the “Mohán” refer to spirits or diabolical manifestations which are part of the region´s oral tradition. Crafts: some of the crafts related to coffee culture are the “aguadeño” hat and baskets from Filandia, bamboo products from many municipalities of Quindío, sisal products from Aranzazu, and food products including preserved food, snacks, tambourines, “piononos”, panela, and other cane derivatives grown in coffee growing farms. Gastronomy: “Paisa” or mountain food characterized by its quantity, preparation, presentation, colors, and aesthetic. 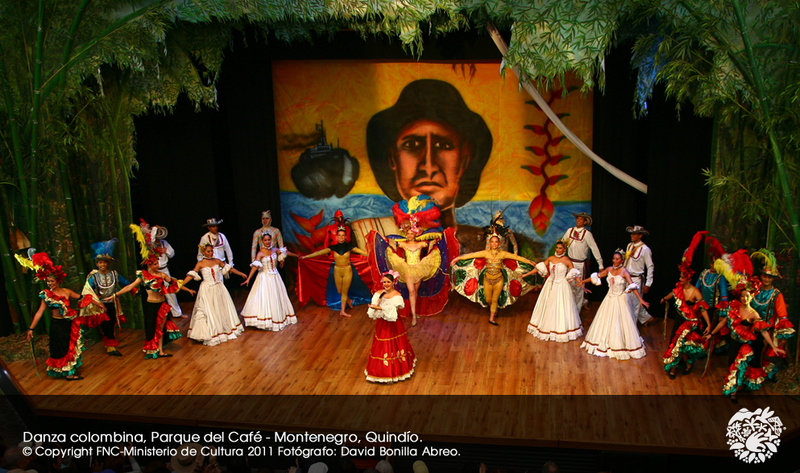 The region´s gastronomy includes products grown in coffee growing farms. Muleteer: with his mules and oxen, the muleteer helped open way to new territories during the Antioquian colonization. Mule: the muleteer´s loyal companion. Ax and machete: instruments used during the Antioquan colonization for colonizing new territories and currently used for weeding crops. Willis: 1940s American vehicle massively used in the PCC to transport coffee and passengers. Juan Valdez: symbol that identifies Colombian coffee growers throughout the world. Traditional clothing that includes hats, ponchos, “ruanas” and “carrieles”. Municipal fairs, festivities, and festivals: they promote traditional music and folklore, religious fervor, and indigenous or Spanish heritage. Some examples are the Riosucio Carnival (Carnaval de Riosucio) in the municipality of Riosucio, the Guadua Festivity (Fiesta de la Guadua) in Córdoba, the Manizales Fair (Feria de Manizales), the Pasillo Festival (Festival del Pasillo) in Aguadas, the Bandola Festival (Festival de la Bandola) in Sevilla, the National Duet Contest (Concurso Nacional de Duetos) in Armenia, the Bambuco National Contest (Concurso Nacional del Bambuco) in Pereira, the National Coffee Festivities (Fiestas Nacionales del Café) in Calarcá, the Basket Festivity (Fiesta del Canasto) in Filandia, and the Harvest Festivities (Fiestas de la Cosecha) in Pereira. 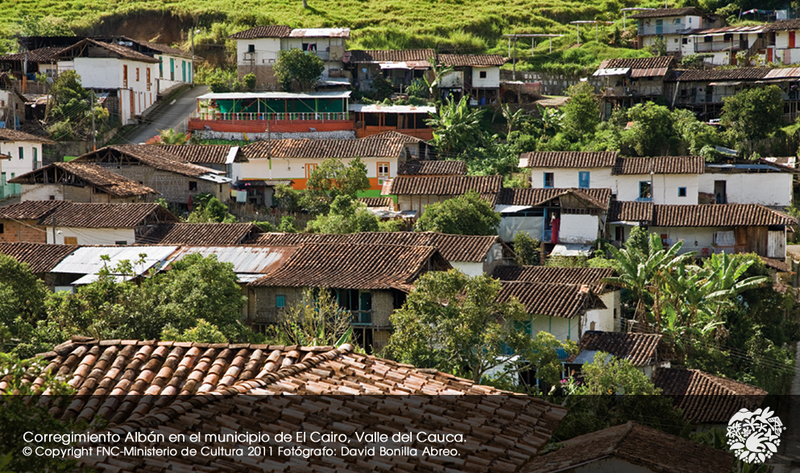 One of the region´s most representative features is the architecture. Inspired by the Spanish construction technique of rammed earth, it was modified with bahareque. The influence of the Spanish and Arab cultural heritage in the PCC´s architecture can be perceived through its traditional space management, materials, and construction techniques. Bahareque is a wall system built over a framework of vertically and horizontally arranged wood and inclined struts covered with a mat of bamboo. Bahareque structures are known as the “trembling style” because their light weight and elasticity makes them resistant to earthquakes. Villages were located high in the mountains in order to unite the territory through roads. Towns were constructed with rammed earth, bahareque, and clay tile; had wooden windows and doors decorated with openwork carvings and sconces; and were characterized by porches, courtyards, and hallways with flowers, birds and wild aromas. The region´s houses were built with rammed earth and bahareque and are distinguished by their central courtyard and their gabled clay tile covers. Houses, churches, mayoralties, barns, stables and all constructions related to coffee growing and post-harvest processes were built with bahareque. Among the cemeteries and religious constructions that outstand for their architecture are the temples of Aguadas, Pácora, Salamina and Salento, Chinchiná, Calarcá, Guática, Marsella, Santa Rosa de Cabal and Sevilla and the cemeteries of Circasia, Marsella and Salamina.